The Road Force® GSP9700 measures radial and lateral tire forces and provides instructions for solving ride and handling problems such as tire pull and wheel vibration that balancers and wheel aligners cannot fix. 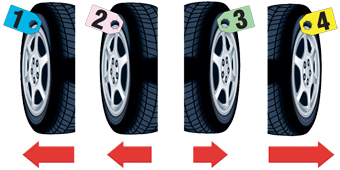 Tires are tagged and positioned on the vehicle to provide the least amount of vehicle pull and obtain the best straight-ahead steering stability. 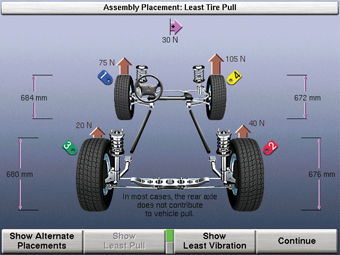 Pull or drift caused by the internal forces can be systematically minimized, offset, or eliminated.